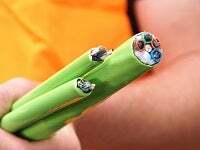 The NBN is quickly rolling out across the country, but not without controversy: telcos not being able to meet the speeds they advertise, poor service, expensive installation costs, and so on. Some providers have even been forced to compensate customers for slow speeds, pay fines for misleading information, and shut down their NBN services completely. If all you’ve heard is bad news, the NBN can seem like a nightmare – but if you purchase the right plan, it could offer better speeds, value, and overall satisfaction than your old ADSL connection. But if you’re not sure where to start, or just hesitant to make the switch, signing on to a 12 or 24-month NBN plan can seem daunting. In the vein of ‘trying before you buy’, a no lock-in contract NBN plan may be a good way to dip your pen in the ink. Going month-to-month can allow you to sample the NBN without being locked in for 12 months or longer, but there may be a few catches. We’ve taken a look at the top no lock-in contract NBN plans below, from Australia’s biggest and most popular telcos. Hit a link to jump to your favourite provider. No lock-in contracts on a month-to-month basis may seem like the holy grail of NBN plans, but there are a few catches or hoops to jump through – high set-up costs, modem fees and higher ongoing costs being some of them. Nevertheless, if you find the right provider and plan, you can bag an awesome deal. iiNet customers have a choice of three speed tiers – Basic (NBN 12), Standard Plus (NBN 50), or Premium (NBN 100). To jump from one tier to the next you can expect to pay an extra $10-$20 per month. iiNet’s plans start at just under $70 for unlimited data on NBN 12 speeds, up to $99.99 per month for Premium. No-contract plans are available, but customers will need to pay an upfront activation fee of $79.95. If you’d like to add a pre-configured modem, you’ll also need to pay $89 (plus $10 delivery). Pay-as-you-go home phone calls come as standard, and you can add on an international call pack for an additional $10 per month. Fetch TV is also available to add on for an extra $5 per month, with flexibility of adding TV channel packs. Exetel has quite a few plans, with some of the cheapest NBN plans on the market. Unlimited plans start at $69.99 a month on the Standard Plus speed tier on a month-to-month plan. There aren’t any setup costs or activation fees on Exetel’s monthly NBN plans, unless you purchase an optional WiFi modem (available for $59 upfront, plus $20 shipping). The speed tiers available include Standard Plus (NBN 50) and Premium (NBN 100). The convenience of the pre-configured modem may make an upfront fee worth it; but if you’re fairly tech-savvy you could go your own way, and get a no-contract plan for a relatively small price. Internode is a direct subsidiary of its bigger brother iiNet. Internode was one of the originators of ADSL2+ internet, and now features as a top telco for NBN. Unlimited data starts at about $69.99 a month, and NBN 12, NBN 50 and NBN 100 speed tiers are available (labelled ‘Bronze’, ‘Gold’, and ‘Platinum’ respectively). If you choose a no lock-in contract plan, you’ll be up for a $99 setup fee. Prices for unlimited data start at $69.99 a month, and users can also bundle in a Fetch entertainment pack from $10 extra per month. Internode keeps it simple, and while the near-$100 setup fee does look expensive, the convenience factor may be worth it. 12 or 24 month plans come with $0 setup, yet could attract up to a $300 cancellation fee if you leave before your contract expires. MyRepublic burst onto the scene in Australia in 2016, with some cheap top-tier NBN plans. Plans come on both 12-month and month-to-month contracts, with frequent promotion pricing available. All plans feature unlimited data, and the option to add a pre-configured WiFi modem for $69 plus $10 delivery. MyRepublic’s plans are available at both Standard (NBN 50) and Premium (NBN 100) speeds, and the telco currently offers a monthly discount for your first 12 months on either no-contract plan. Vodafone is more well-known for mobile plans, but when it comes to broadband, it offers three super-simple NBN plans. All plans include unlimited data and are available on a contract-free, month-to-month basis, and you can choose from Standard (NBN 25), Standard Plus (NBN 500 or Premium (NBN 100) speeds. It’s worth noting that if you’re signing up to a Vodafone NBN plan, you’ll need to buy a $180 Vodafone modem (via payments of $5 per month). However, stick with the plan for 36 months, and you’ll get the modem for $0. Another major perk? If your NBN drops out for whatever reason, you’ll get access to Vodafone 4G mobile backup. Other than the modem fee, there are no setup charges, and it could make sense to pay for the luxury of having a month-to-month plan with 4G backup. TPG offers NBN plans on both month-to-month and 18-month contracts. Whilst a free Wi-Fi modem now comes as standard with every plan, you will need to pay a $99 setup fee on no lock-in plans. You can choose from Basic (NBN 12), Standard Plus (NBN 50) and Premium speeds (NBN 100), and all plans are available with unlimited data. Pay-as-you-go calls are also included in all plans, with unlimited call packs available from an additional $10 per month. All of Tangerine’s NBN plans are no-contract by default, making it an easy choice when at the online checkout. Prices are some of the cheapest in the market, with all plans coming with unlimited data as standard. There are three speed tiers available — Basic, Standard or Standard Plus. All plans are available without lock-in contracts, and with two optional modems: a standard modem for $69.90, or an upgraded modem for $99.90. Other than modems, there’s no other setup fees for customers. Belong offers a simple approach to selecting a plan – instead of picking one of several packages, you simply pick your speed and contract length. You can select between a 12-month or month-to-month plan, but be aware that you will pay more each month (and upfront) if you go contract-free. Belong’s no-lock-in plans cost an additional $5 per month compared to 12-month options, and incur a $60 WiFi modem fee. All plans feature unlimited data, with three speed options; Starter (up to 30Mbps), Standard Plus (NBN 50), and Premium (NBN 100). No-contract prices begin at $60 per month for the Starter plan, and there are no activation fees. Flip already boasts some of the cheapest unlimited plans across three speed tiers — Basic, Standard and Standard Plus. Starting at just $54.90 per month for Basic NBN, you can’t really put a foot wrong with Flip. All plans are available with no lock-in contract, and setup fees are often waived; Flip also gives you the ability to bundle in TV entertainment packs from around the globe, from Ecuador to Macedonia. With these providers, unlimited data costs as little as $60, with jumps in speed from around $10 extra per month. It’s not just the big guys offering big plans, with many NBN providers out there offering no lock-in contracts. You may just have to be aware of setup fees and other associated costs. Is a no-contract NBN plan the way to go? No-contract NBN plans are a great way to sample a certain provider without needing to commit to a 12+ month contract. However, this freedom sometimes comes with a price. No-contract plans often come with set-up costs to the tune of $200+, and many do not include a free modem – you’ll usually have to pay extra, or bring your own. Some providers even charge more per month for the privilege of skipping a contract, or do not offer all their plans with the no lock-in option. Nevertheless, a no-contract NBN option may be the way to go if you’re just not 100% certain. Moving into a new place can be tricky – you don’t know just how good the internet is at that location, which provider you should go with, and so on. If you are unsure about whether you really can stay on a fixed contract, remember that cancelling a plan later on can sometimes cost you over $200, plus any remaining months you have on your agreement. In this case, paying a set-up fee or a bit extra for a no-contract option may be worth it. Whatever contract type you decide to go with, make sure you compare a range of different providers first.